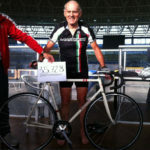 Giuseppe Marinoni, famous Italian frame builder, broke the hour record for 74-79 age group on October 20. 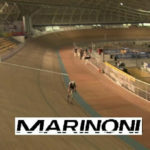 Marinoni broke the record in Brescia, Italy. Marinoni covered 35.728 km in one hour. The hour record is the record for the longest distance cycled in one hour on a bicycle. There are several records. The most famous is for upright bicycles meeting the requirements of the Union Cycliste Internationale (UCI). It is one of the most prestigious in cycling. Hour-record attempts are made in a velodrome, but never at high altitude. On 25 October 1972, legendary Eddy Merckx set the record 49.431 km. His equipment were drop handlebar/round steel tubing frame/wire spokes. In January 1984, Francesco Moser set two records, the second being 51.151 km (31.784 mi). This was the first noted use of disc wheels, which provided aerodynamic benefit. In 1993 and 1994, Graeme Obree, also known as “The Flying Scotsman” who built his own bikes, posted two records with his hands tucked under his chest. In 1996, Chris Boardman set a record using another position developed by Obree, his arms out in front in a Superman position. The Best Human Effort – sometimes termed the UCI “Absolute” Record. Aero equipment, disc wheels, aero bars and of course aerodynamic rider positions allowed. 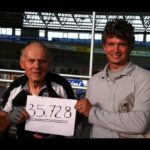 Current UCI Hour Record holder is Czech rider Ondřej Sosenka (49.700 km). 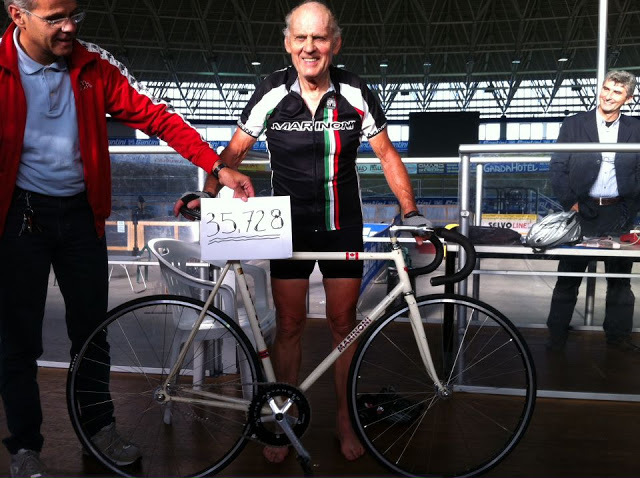 On February 2012, Frenchman Robert Marchand set the hour record for 100+ age group: 24.251 km. 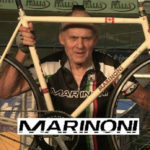 Marinoni Cycles are producing great bikes: “Marinoni Cycles home page. Read more about hour record on wiki. 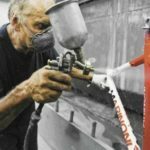 Giuseppe Marinoni personally hand paints all his frames. 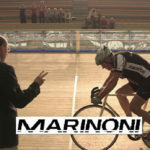 UPDATE: Video of Marinoni training for the hour record.